While it may seem like the younger generation is more prone to developing issues with addiction, the reality is that older adults have high rates of addiction as well especially with prescription drugs. It may seem intimidating for older adults to have to attend rehab in their retirement years but it can be crucial to their health. Older adults may also be struggling with mental health issues like depression which needs to be treated in order to minimize any substance abuse. People in retirement often experience issues with depression because they are going through such a dramatic change in their routine. No longer working can lead to feelings of being lost and not knowing your purpose in life. With much more free time and feelings of depression, older adults in retirement can become addicted to alcohol or prescription opioids very easily. How treatment helps in retirement? Treatment can be very helpful for people in retirement because they need emotional support to get through the transition after finishing their career. They may be in a bad place socially, mentally and emotionally when they suddenly stop working every day. Being in treatment can help them work through some of the emotional stress that may be causing them to abuse drugs. 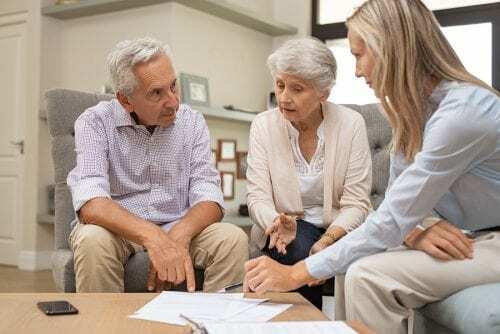 Those in retirement may be able to find treatment centers or support groups that cater to people in their age group so that they don’t feel alienated from other patients. Rehab can be effective for everyone and many programs individualize their treatments for people in specific situations. A support group for older adults may be a great way to stay social and receive advice and support from people in a similar situation. If you or someone you love is having a hard time coping with retirement and may be dealing with mental health problems or substance abuse then find a treatment program right away.